MCA Chicago uses the process of collective bargaining to negotiate with our union partner, Pipe Fitters Local 597. Through negotiations we reach agreements on wages, working conditions, training, health and safety, and dispute mechanisms. Throughout our 125 years of bargaining with Local 597 we have not experienced a single worksite strike. We value our positive working relationship with our union partner. Together we are able to provide the most productive and safest labor/management team in the construction industry. Our good relationship is a promise to end users that their work will be completed the way they want it – professionally, timely, and within budget. 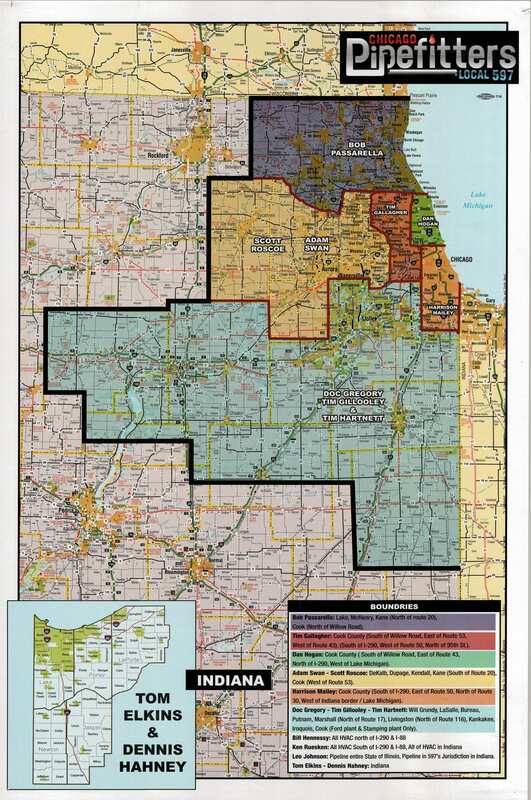 View the Pipefitters Local Union 597 Jurisdictional Map here. If you are an MCA Member, please view the Area Agreement and Wage Letters below. Take advantage of MCA of Chicago’s interactive training modules—known as “SkillBursts”—to walk you through important industry information from the comfort of your office, home, or even on the go! View all of MCA of Chicago’s online training here.